ARGYLE, TX – GoVision L.P., a provider of LED video walls and mobile display units, announced the addition of Kyle Boughton to its sales and marketing team. 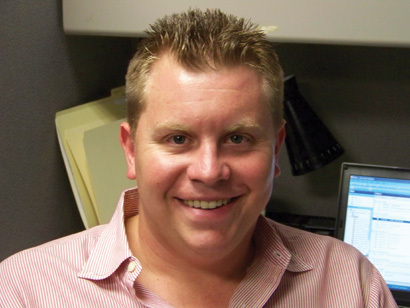 Boughton, who will serve as account executive, has six years of marketing and sales promotion experience. He will be responsible for generating new business nationwide for GoVision's custom-built mobile LED units and LED video walls. Boughton is a 2007 graduate of Texas A&M University with a degree in sports management. After three years with the Aggie athletic department, he worked for The Marketing Arm in Dallas, where he was introduced to GoVision during a promotion The Marketing Arm conducted in St. Louis related to the Major League Baseball All Star Game. "I'm very excited to join the GoVision team, because I've seen for myself what a quality operation they run," said Boughton. "Their screens helped make the All Star Game promotion a huge success, and their on-site staff was top-notch. I knew right then I wanted to work there some day." "Kyle is a sharp, intelligent and energetic guy with a good sense of how our screens can help make good events great," said Chris Curtis, CEO of GoVision. For more information, please visit www.jumbo.tv.